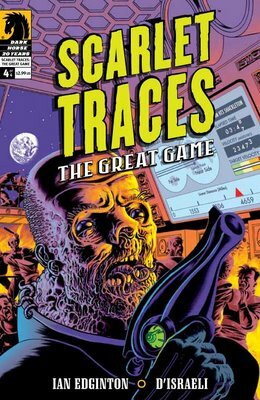 Cover for Scarlet Traces: The Great Game #4, design by Amy Arendts. The Dark Horse logo is a trademark of Dark Horse Comics. 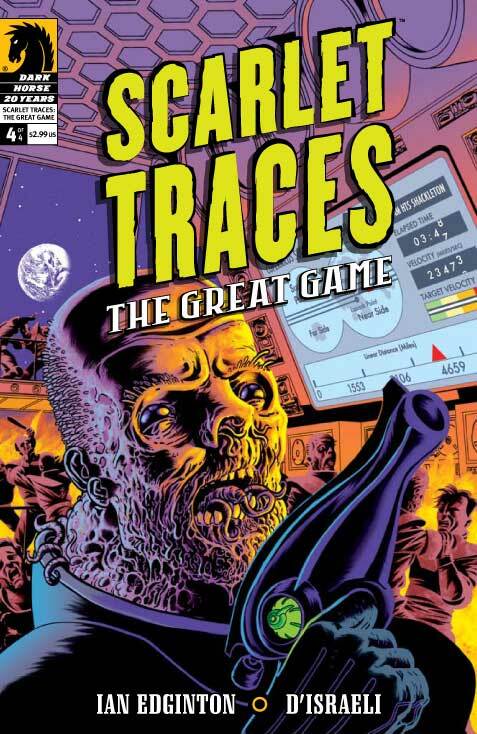 Given it's the 9th already, I guess it's a good time to post a heads-up for The Great Game (I usually think I'm posting the covers ages in advance and then discover that someone's already spotted that issue at their local comic shop). Truly horrible...in a good way, and beautiful colour as always. Hmmm - things don't look too good to me. Do the Martians need human collaborators? I never voted for Davenport Spry - honest. Well it's out in the UK today and looks wonderful. Well Great Game #4 finally made it through to the far end of the earth (New Zealand) and it was certainly worth waiting for. 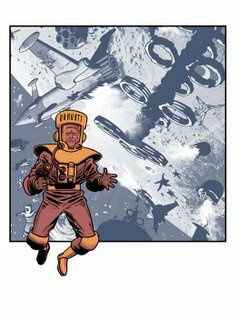 Particularly glad that Robert Autumn made it through against all odds - booze, Martians, government thugs - nothing seems to stop that tough old guy. My only regret is that Charlotte seems to have given up her early ideals in middle age and gone over entirely to Home Counties values - green wellies indeed!